THE CANADIAN PRESS -- TORONTO - The Canadian dollar closed sharply higher Thursday amid rising commodity prices and positive employment news from the United States, Canada's biggest trading partner. 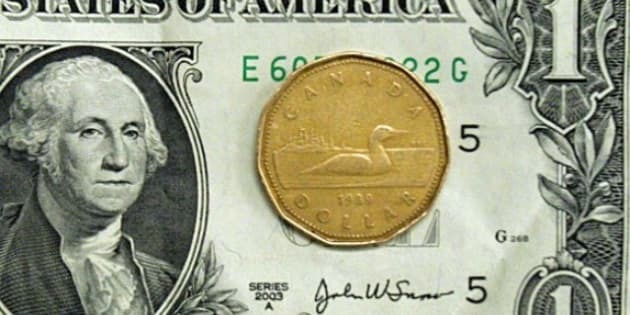 The loonie rose 0.75 of a cent to 104.31 cents US -- the highest close since May 10. A day before the release of the U.S. non-farm payrolls report, payroll firm ADP reported that the private sector created 157,000 jobs last month. That is much higher than the approximately 90,000 jobs that economists expected were created in the U.S. during June. Traders also looked for a positive Canadian employment report on Friday. Statistics Canada is expected to report the economy created around 10,000 jobs. Oil prices got a lift from the employment news and also from inventory data. The U.S. Energy Information Administration reported that U.S. crude oil inventories declined by 900,000 barrels, far short of the 2.5 million barrel decline that analysts had forecast. But gasoline inventories fell by 600,000 barrels last week versus an increase of 500,000 barrels that had been expected. The August crude contract on the New York Mercantile Exchange was up $2.02 to US$98.67 on hopes for higher demand. Metal prices also advanced with the September copper contract in New York ran ahead 11 cents to US$4.44 a pound. Worries about the European debt crisis helped push gold higher for a third day. The August contract climbed $1.40 to US$1,530.60 an ounce. Traders also took in news that the European central bank hiked its key rate by a quarter point to 1.5 per cent to fight high inflation while the Bank of England left its key rate unchanged at 0.5 per cent.